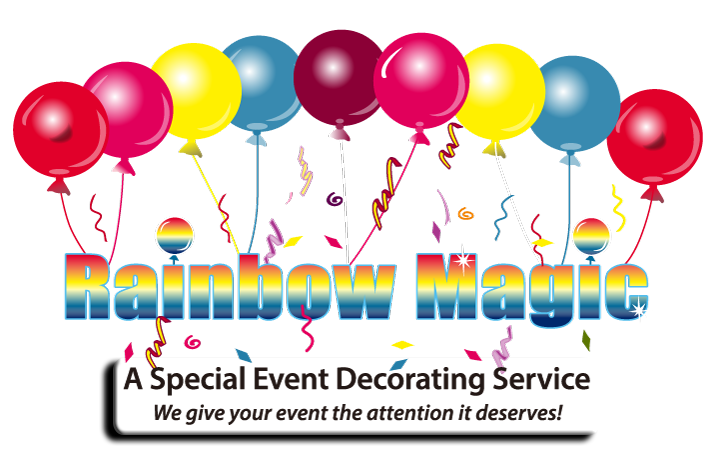 Rainbow Magic Deco provides beautiful decor for the grandest of of events to the smallest group gathering, a special event decorating service the can turn your visions into reality. We focus on the ordinary to the extraordinary design balloon decour that will make your event or special occasion unforgettable. For the past decade, we have provided services for those popular gift-giving balloon bouquets and some incredible decorations for nearly every theme imaginable, including balloon arrangements, centerpieces, arches, columns, garlands, sculptures, balloon drops, balloon releases, confetti cannons, exploding balloons and balloon walls, gifts in a balloon, specialty gift baskets, and synthetic floral arrangements. Site by Action Webmasters, Inc.